BOSTON– The story coming out of Game 1 between the Washington Capitals and the Boston Bruins should have been about the performance of rookie goaltender Braden Holtby. Chris Kelly had other plans. Just 1:18 into overtime, Kelly scored the Bruins’ first and only goal of the game to seal the victory and take the 1-0 series lead for Boston. Up until then, Holtby had stopped 29 of 30 shots, including 26 alone in the first two periods. Down the other end of the ice, Tim Thomas stopped all 17 Washington shots for the shutout. Holtby is third on the depth chart for goaltenders in Washington, playing on Thursday in place of an injured Tomas Vokoun and Michal Neuvirth, the team’s top two netminders. Though he did appear shaky at the start, Holtby was locked in, coming up big on the Bruins’ scoring chances, most notably in the second period where he made some dynamic saves with the Capitals shorthanded. While it took them an extended period to solve Holtby, the Bruins were strong defensively throughout the game. The defensive pairing of Zdeno Chara and Dennis Seidenberg were impressive neutralizing Alexander Ovechkin, holding the Washington captain to only one shot on goal. The Bruins will host the Capitals for Game 2 at the TD Garden on Saturday at 3pm before traveling to DC for Games 3 and 4. 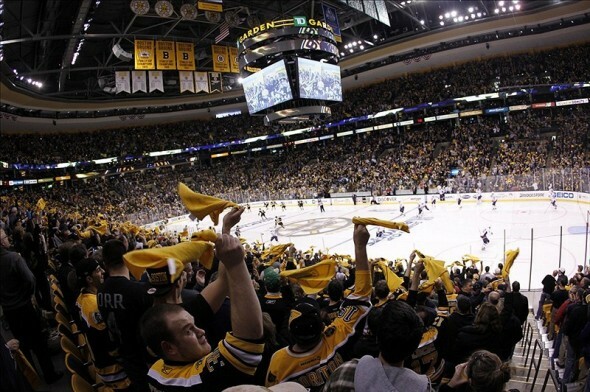 Follow Mike on Twitter for more Bruins updates, commentary and news through the playoffs.